Grass Fed beef and lamb are becoming quite common it would seem. Having 4 stomachs, one in particular called the rumen, helps makes this possible for those animals. This rumen is something that pigs chickens, turkeys lack. Its purpose in a cow is to host a mind boggling abundance of beneficial bacteria, which break down some of the fibers in grass and transform them into usable nutrition. Not having a rumen is a significant disadvantage for those of us hell bent on raising pigs on as much grass as possible. I have been told numerous times by very learned professors and state agricultural experts that pigs cannot eat grass and profit from the experience. They have apparently not read the same literature that my pigs have. Over the years we have tried numerous strategies wherein we ask our pigs to support themselves in part on forages. In most cases they succeed with flying colors. Most recently we planted a cover crop mixture usually intended for highly productive dairy cows. It consisted of kale, turnips, pea vines, and oat grass. By mid May this mixture had grown so richly that it could hide all twelve 120 – 150 pound pigs that we were grazing within. We practiced a high stocking density with quick rotations. Every 72 hours we rotated them onto fresh pasture. During this rather informal study we weighed the pigs every 14 days. They were gaining at a rate of close to 1.4 pounds live weight gain daily and consuming LESS THAN 1 POUND OF GRAIN DAILY! They appeared relaxed, alert and stressfree. It must have been somewhat like living in a giant organic salad bowl. The really exciting part of this study was the above mentioned grain to gain ratio. In conventional systems the standard is usually 3.5# – 5# of grain to one pound of live weight gain. While not focused strictly on grass, this forage based diet combined with a small amount of 100% non-GMO grain, testifies to the humble pigs ability to be nourished from green matter. 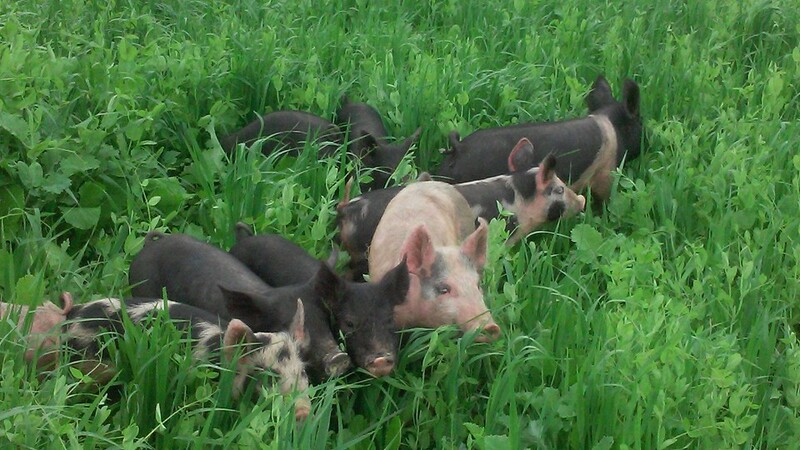 It is my hope to continue researching the forage based diet of pasture raised pigs and see where it leads. Respecting the pigs need for a high welfare environment is the key to success. With resources such as turnips, apples, acorns, clover, alfalfa and whey from local cheese houses who knows how far we can go? One thing is sure. 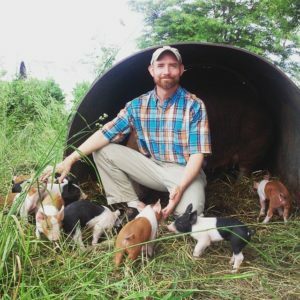 We do not need factories raising our pigs for us. 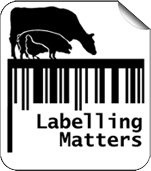 Where ever you are, find the closest pasture based pig farmer. 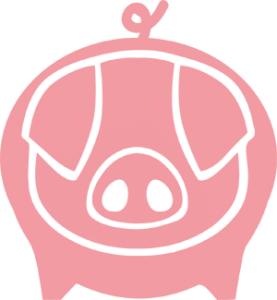 Someone who really respects the “pigness of the pig”, and cast your vote against factory farming by buying your pork straight from them. It might be the most delicious revolution you participate in this week! Grab You Own Baconliciousness. Order here!